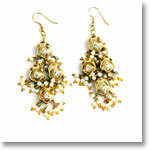 One can say Jewelry is the most beautiful accessory and an ornament of a woman. Ladies love wearing bangles, be it in any metal, say gold, silver or diamond. If these precious metals burn hole in your pocket then go for other substitutes that are not only cost effective but also come in a variety of colors. Lac bangles have a touch of class and richness. They are extremely popular amongst women’s and with intricate detailing of master craftsmanship, Lac bangles are the most sought after items in the fashion conscious generation. They are lavishing and glorious. Designer lacquer bangles come in various colors like red, green, black, blue color lac bangles which can coordinate with your dress. 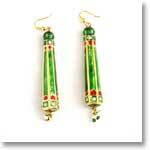 Lacquer jewelry and lac jewelry bangles are available in an exclusive range of vibrantly colored and ethnic designs. 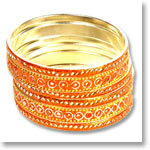 To decorate lac bangles in bright and admirable designs, craftsman imparts intricate designs on it. Rhinestone crystal, vibrant colors, semi precious stones, pearls, mirror and glass work are used to embellish these bangles. Lac bangles are in a great demand. From teen girls to ladies working in big corporates to housewives, everyone wants to embrace the magic of Lacquer bangles. Extremely popular in Rajasthan, Mirror Lac bangles look contemporary yet ethnic. 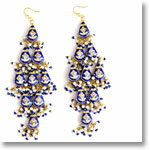 These Rajasthani mirror lac bangles steal the show with their antique designs and glitter. These bangles come in a variety of latest designs complementing with the modern taste to suit the personal style statement of women. Lac is used to make lac dye for wool and silk. Lac is used in India for skin cosmetics, medicines, leather goods and jewelry. 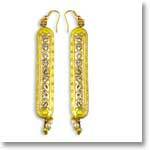 Mirror Lac Bangles are ornaments that adorns women’s wrist. 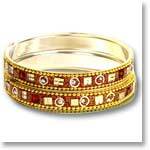 Lac Bangles are made up of lac which is a scarlet resinous secretion from lac producing insects. Lac bangles are cool and easy to maintain and are available in beautiful designs. Lac bangles with the mirror work looks stunning on wrists. Mirror Lac Bangles make every occasion special. 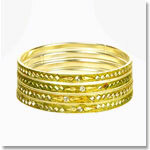 Elegant and stylish mirror lac bangles are available in assortment of shapes and styles. Besides adorning the gorgeous multi-colored Lac bangles by studding with colored mirrors, precious and semi precious beads and metals are also used, which adds splendor beauty to these bangles.